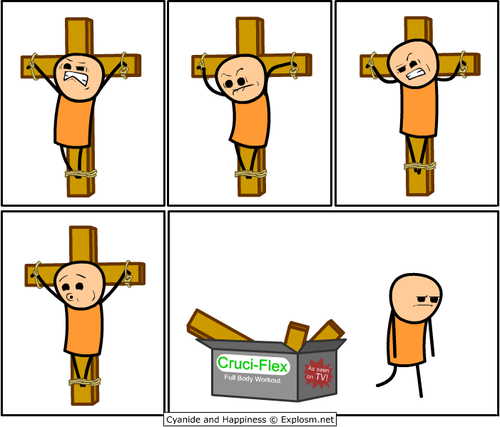 Cyanide & Happiness, they put out comics online, posted this above image to their Facebook and were subsequently banned for twelve hours. I think it’s hilarious. Offensive? Maybe, I don’t know, but worthy of a ban on Facebook? Seems silly.